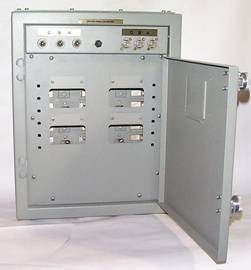 Panel, Electrical, for AQB-A50 and NQB-A50 Circuit Breakers, Drip proof, Totally Enclosed and Watertight. 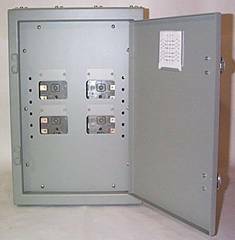 Ratings 100 Amp at 500 VAC and 250 VDC. 4 Ckt. TE With Optional Ground Detector Installed.